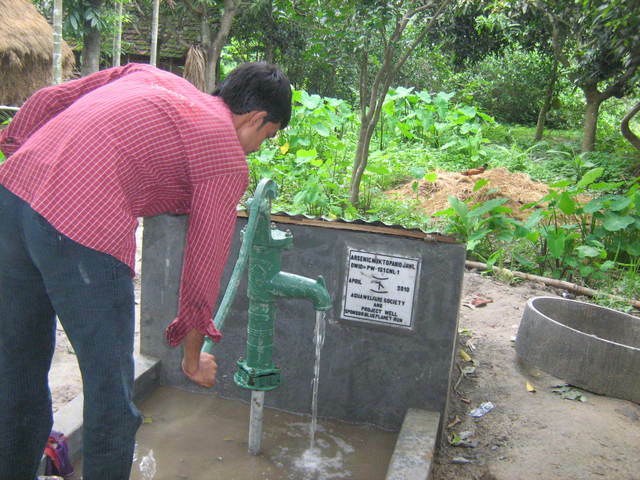 This site # PW151CNL1 is in Sawrovpur (Purbapara) village of Chakdah block of Nadia district. Sithen Bowmick donated the site for the community. water 5 families 28 people used for drinking and cooking . 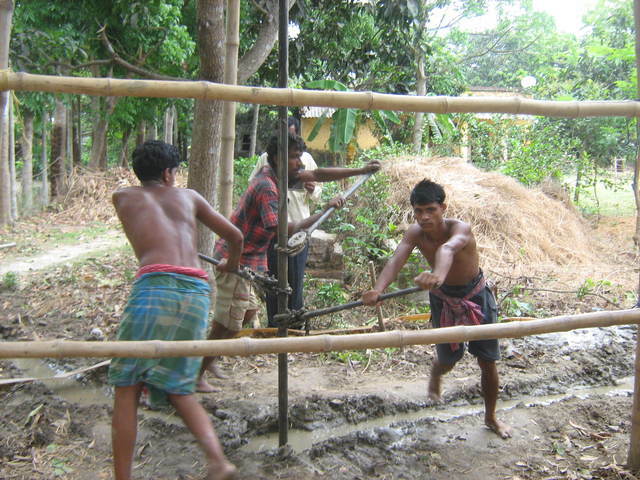 this well is ured by 5 families 22 people drinking ammd cooking .given the theoline 1 liter. projector programme has been finished.M-3, F-27, Ch-2. Sawrap pur/ Cakdah. Today at the field project programme attented Aparna,Shilpi,Sikha,Ranajit,Animesh,Farida,Champa, & Safikul . HELTH MEETING IS OK.PEOPLE12 ME1 FE8 CHI3. WATTAR IS VERY GOOD.6 FIMILI DRING WATTAR. There is some technical problem encountered at this bore-dugwell that needs to be addressed.